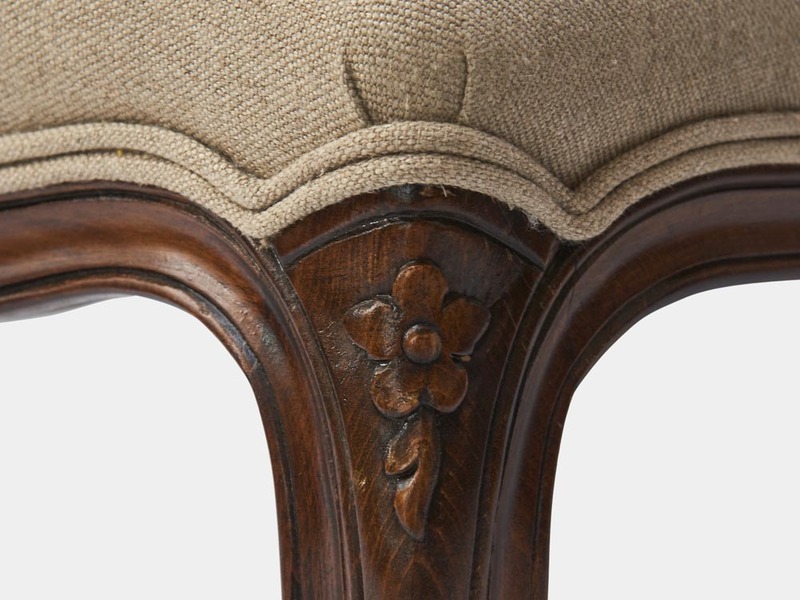 solid timber frame and antique walnut finish, linen upholstered seat and back, hand carved frame with rose motive on fine cabriole legs. 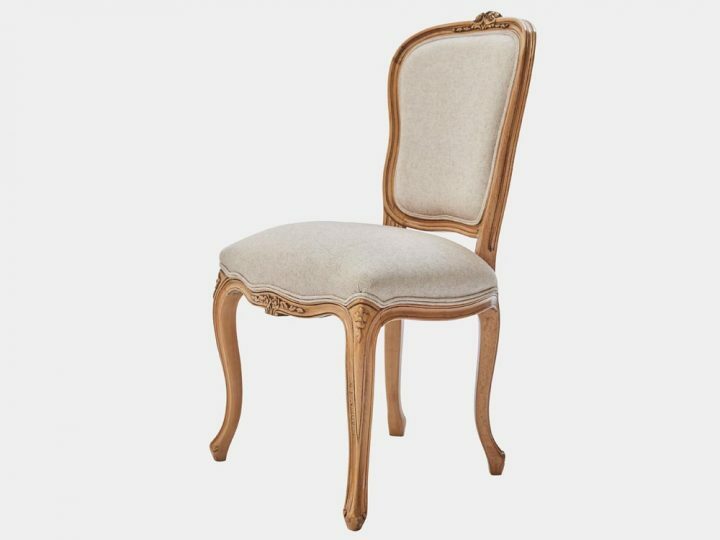 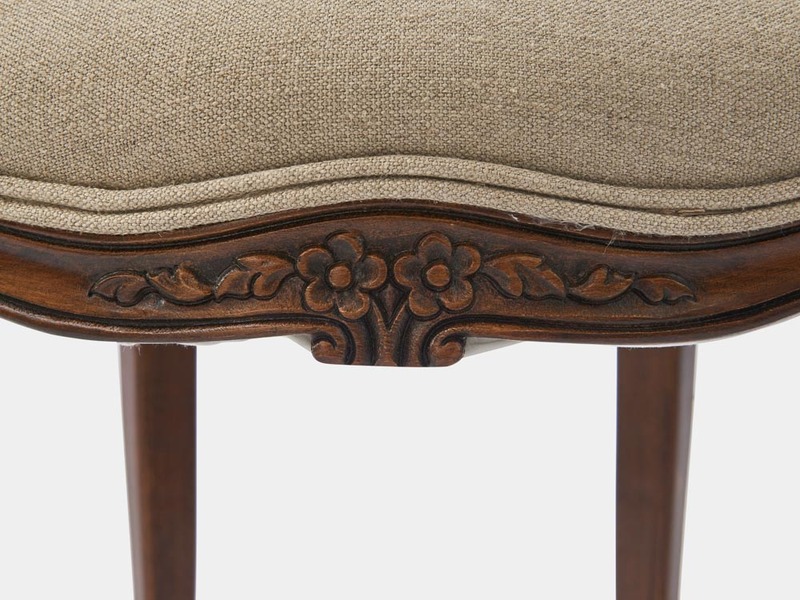 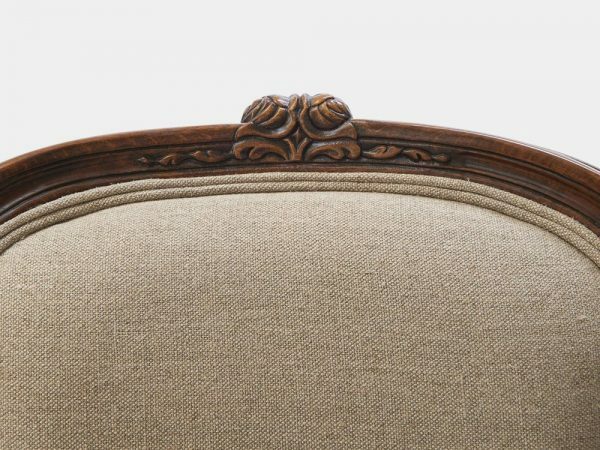 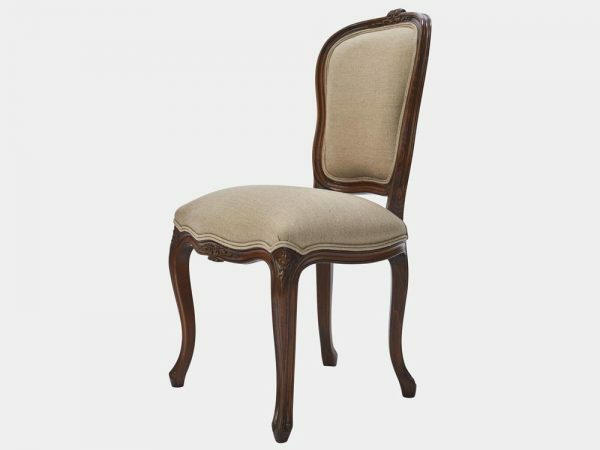 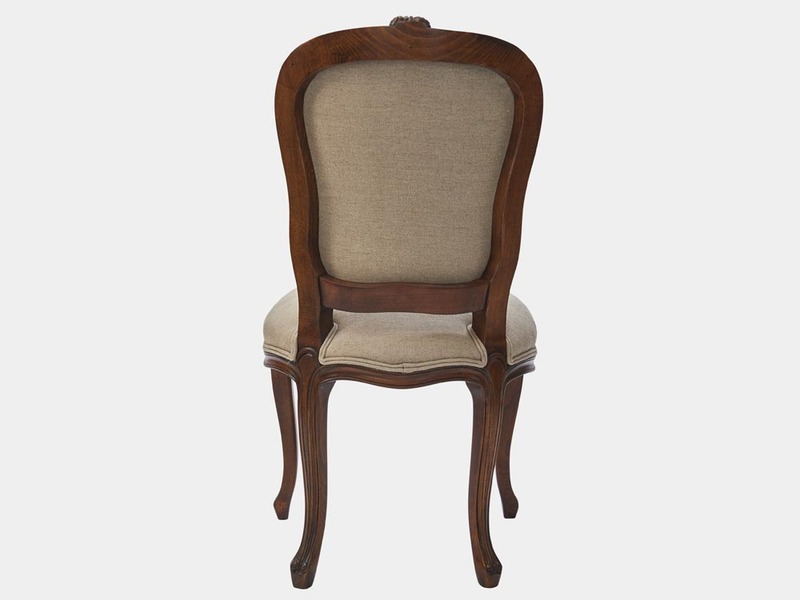 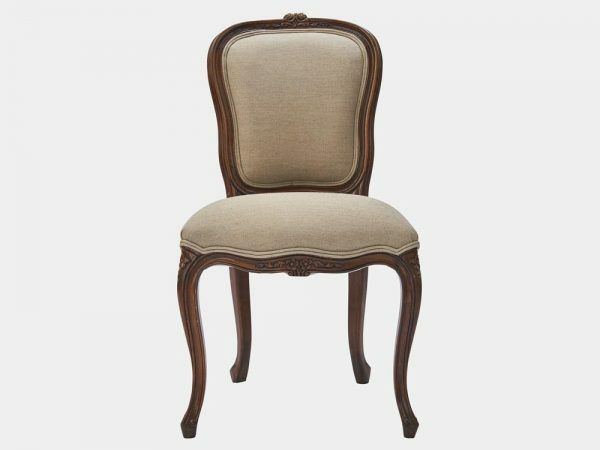 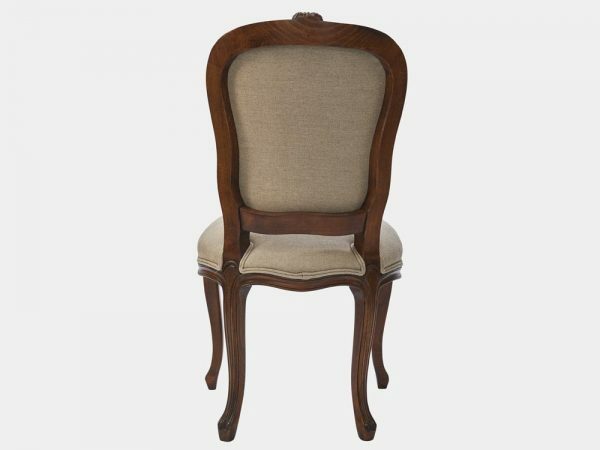 This beautiful and elegant French Louis XV style chair is made in solid timber frame with antique walnut finish, linen upholstered seat and shaped back, hand carved frame with rose motifs on fine cabriole legs. 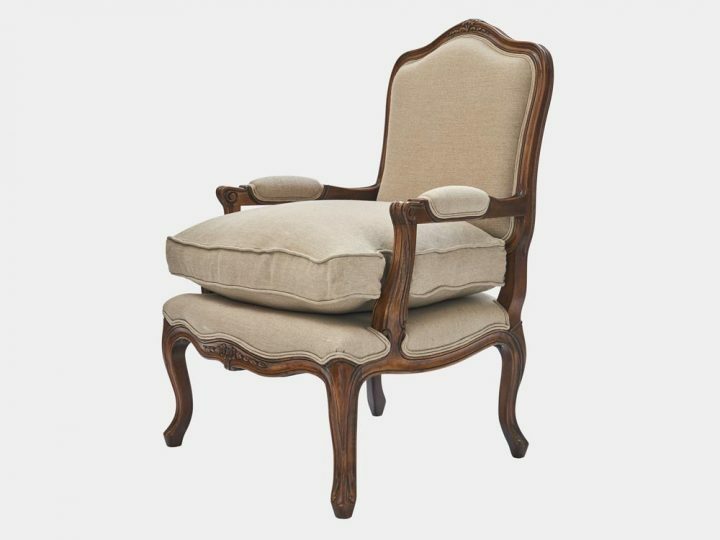 There is an armchair to match. 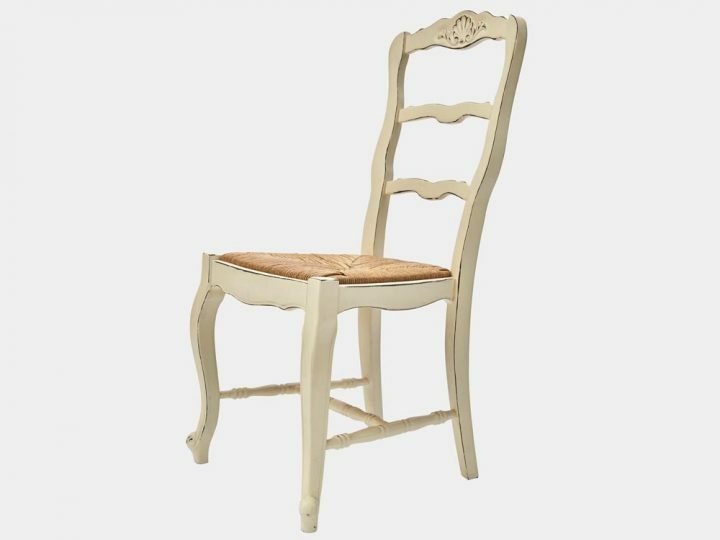 Also available in cherry wood and striped linen. 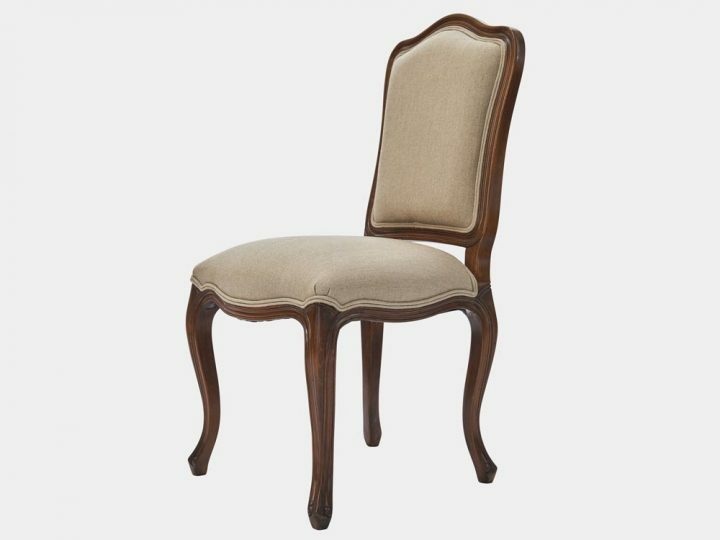 It can be a chair of a dining set or an occasional chair for the hall way, bedroom or study.